The exterior sun protection of this 5-floor administrative building consits of a total of 470 venetian blinds. These are spread over the 7 facades of the building complex. In order to achieve energy efficiency class A according to EN15232, besides brightness dependent blind control and sun tracking of the lamellas, shading from surrounding buildings must also be considered. For this purpose, the entire facade is divided into 75 sectors. The control technology is implemented via a KNX system. The heart of this is the SunControlServer® (SCS) who receives the current weather data from the Quadra®. Depending on the weather conditions the SCS transmits the safety and automatic commands to the decentrally installed blind actuators MCU-04. Via the three SCS-clients it is possible to control and monitor the complete shading system from a central position for the facility managers. Central functions such as maintenance or cleaning locks can be executed in a simple and convenient manner, or fault conditions can be recognized. The sun protection control is part of a KNX system which also contains the lighting and heating control. The external blinds are controlled depending on brightness and the slats are tracked according to the sun position. By this a pleasant light situation in the living and dining area is guaranteed at any time. At the same time, the wooden flooring and the furniture are protected from strong sunshine. In the winter garden, a temperature-controlled window avoids over heating. This is supported by the roof shading designed as a counter-pull system. Roller shutters in the bedrooms are automatically opened and closed via time programs and can be included into the heat protection in summer. Like all externally mounted sun protection products, the seat awning on the terrace is also protected against damage caused by weather influences such as wind, rain and frost. 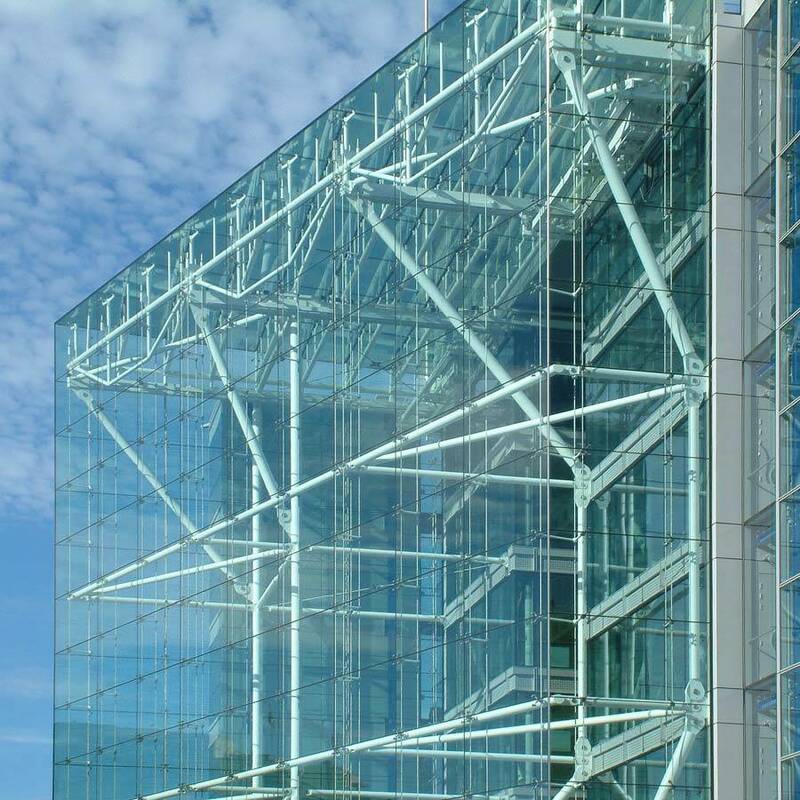 The recording and evaluation of the weather data as well as the central control of the Venetian blind actuators are taken over by the Quadra® solar shading control unit. There is installed one combination MCU-04X + MCU-04E and one single MCU-04X main module to control the 10 venetian blinds on the ground floor. Another combination MCU-04X + MCU-04E is installed for the two windows and the 4 cloth systems in the conservatory as well as the seat awning. The shutters in the sleeping areas are controlled by an MCU-04X main module which is installed in the distirbutione board on the first floor. In addition to the operation via KNX push buttons, the KNX app the smartphone or tablet offers a smart control of every single shading product. The app directly communicates with the blind actuators – without any additional server. Just a connection between the KNX bus and the WLAN network is needed and everybody can control the sun protection according to his requirements.